The Instant Pot makes homemade yogurt so easy. 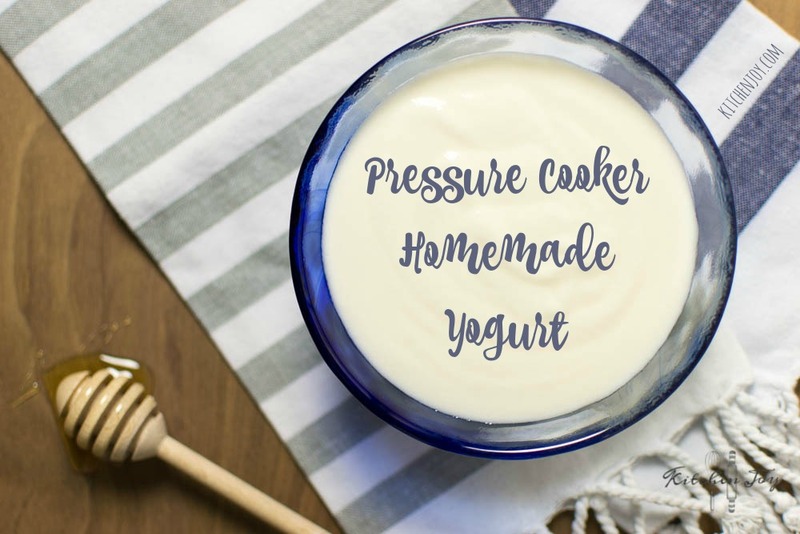 Pressure cooker homemade yogurt is a simple, inexpensive way to make incredible yogurt at home. Add milk to the pot of the Instant Pot pressure cooker. Press “Yogurt” button, then press “Adjust” until screen reads “Boil”. Place lid on pot and turn pressure valve to the sealing position. Every five minutes or so during the boil cycle, remove lid and whisk milk to promote even heating. After whisking, check the temperature with an instant-read thermometer. Temperature must reach 180°F and stay there for a few minutes. The boiling cycle takes about 25 minutes. After boiling cycle finishes, the display will read “Yogt”. If needed, repeat boiling cycle or use the ‘sauté’ function until milk reaches 180°F. Turn Instant Pot off and remove pot from pressure cooker and set in a cold water bath, whisking until temperature drops to 110°F. (You can also do this at room temperature instead of the water bath, it will just take longer.) Remove 1 cup of milk and whisk together with the 2 tablespoons of plain yogurt in a small bowl. Add mixture to the pot and whisk until combined. Add sugar and vanilla, if desired. Return pot to pressure cooker and lock lid in place. Press “Yogurt” button and set desired incubation time. 8 hours minimum, up to 10 hours for a thicker yogurt. Make sure that the “normal” indicator is on, not “low”. The time on the display will count up during the incubation time. Do not open the lid during this time. (It does not matter which position the pressure release valve is in during this step.) At the end of the incubation time, remove pot from the pressure cooker and cover with plastic wrap. Refrigerate for 8 hours. Do not stir. For thicker, Greek yogurt, strain yogurt in a fine mesh sieve or a cheesecloth-lined colander set over a large bowl in the refrigerator for a few hours until desired thickness is reached. Remove pot from pressure cooker and set in a cold water bath, whisking until temperature drops to 110°F. 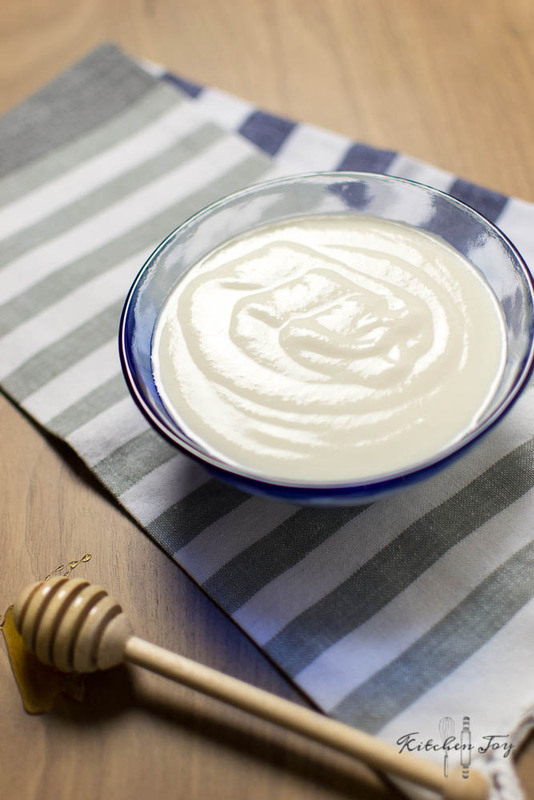 Remove 1 cup of milk and whisk together with the 2 tablespoons of plain yogurt in a small bowl. Add mixture to the pot and whisk until combined. Add sugar and vanilla, if desired. Return pot to pressure cooker and lock lid in place. Press “Yogurt” button and set desired incubation time. 8 hours minimum, up to 10 hours for a thicker yogurt. The time on the display will count up during the incubation time. Do not open the lid during this time. (It does not matter which position the pressure release valve is in during this step.) At the end of the incubation time, remove pot from the pressure cooker and cover with plastic wrap. Refrigerate for 8 hours. Do not stir. For thicker, Greek yogurt, strain yogurt in a fine mesh sieve set over a large bowl in the refrigerator for a few hours until desired thickness is reached.